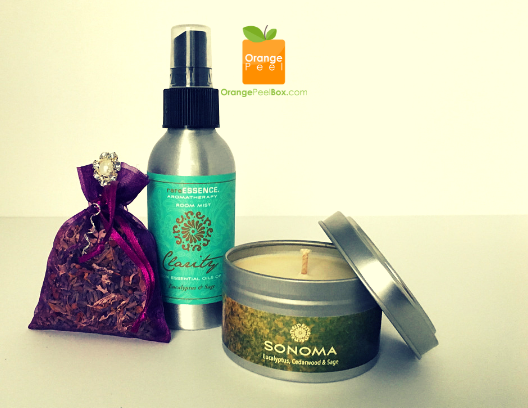 Give the Gift of Aromatherapy. Let the power of the plants heal your body, boost your soul and nourish your spirit. Breathe Deep & Enjoy. Freshen up your room, your drawers, your energy. Includes: rareEssence Room Mist Clarity, rareEssence Sonoma Candle (Eucalyptus, Cedarwood, & Sage), and Lavender Spice Sachet.